Sarita Gupta is the executive director of Jobs With Justice, and a nationally recognized expert on the economic and political issues affecting working people across all industries, particularly low-wage workers. Sarita has been named one of the 19 Young Activists Changing America by Bill Moyers and has appeared in The Wall Street Journal, The New York Times, Bloomberg, Politico, and The Hill, as well as on MSNBC, the former Current TV (now Al Jazeera America), FOX News, and several international television news programs. She writes regularly for The Huffington Post, The Hill, and Bill Moyers. She is widely recognized as a key leader and strategist in the progressive movement. Under Sarita’s direction, Jobs With Justice is leading the fight for workers’ rights and an economy that benefits everyone by anchoring strategic campaigns and shaping the public discourse to build power for working people. 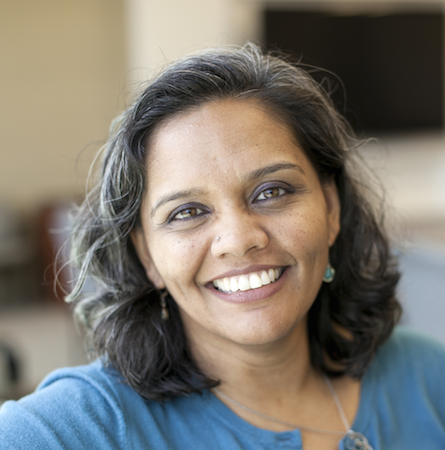 Sarita also serves as co-director of Caring Across Generations, a national coalition of 200 advocacy organizations working together for quality care and support and a dignified quality of life for all Americans.